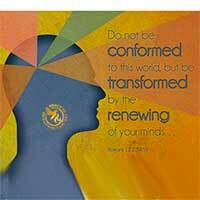 It is important to be transformed by renewing your mind with the Word of God. Know the Word. We are spirit beings in a body between two spirit worlds. Learn to know when the enemy is speaking to you and when the Lord is speaking to you and cast it down. The mind is a battlefield.